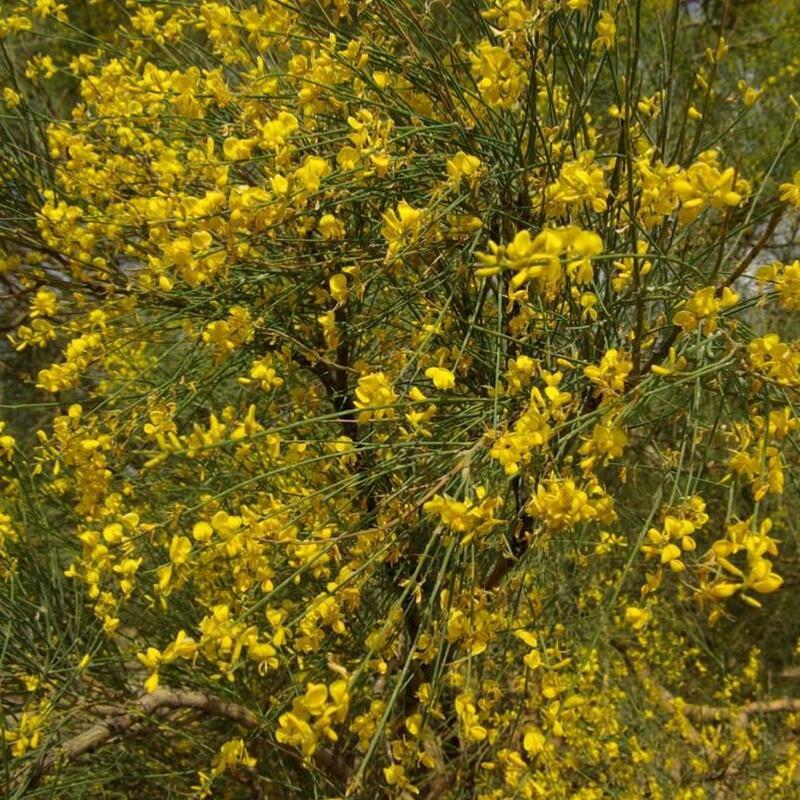 Genista aetnensis is a light and airy rare small tree. 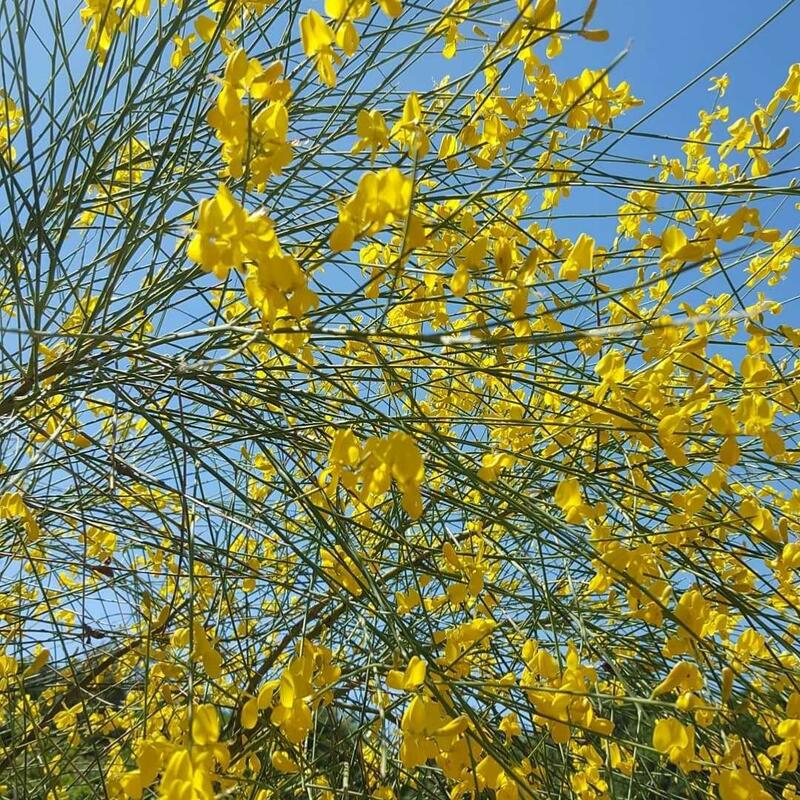 Common name is Mount Etna Broom. 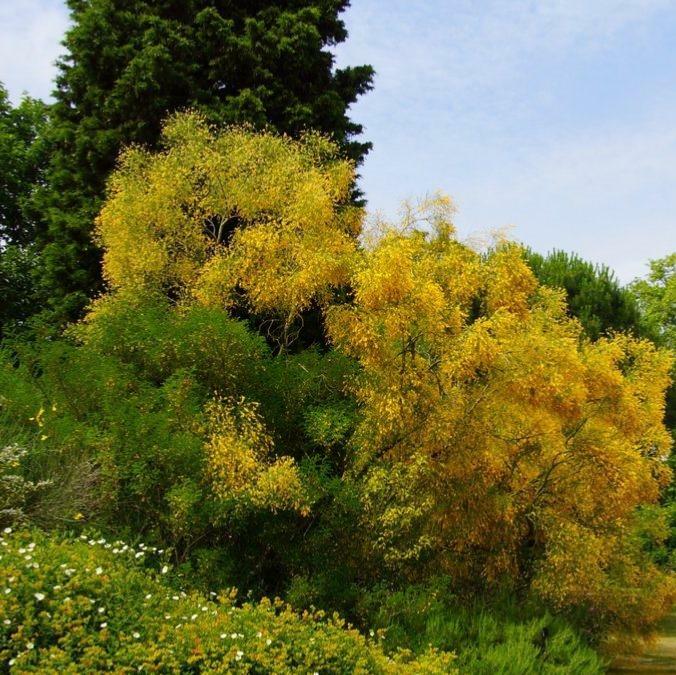 The thin leafless branches are covered in golden yellow fragrant pea like flowers all July. 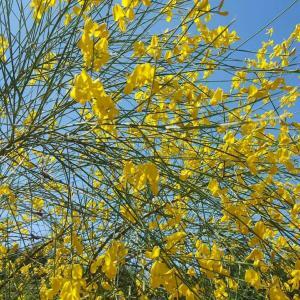 A very useful plant to grow in sunny impoverished places. Prefers full sun in poor but well drained soil. Hardy.